We are fully licensed with the state of Wisconsin as a child care center program. We use the Department of Public Instruction’s 5K and 1st grade entry criteria to set our benchmarks for K4. We are also accredited by NAEYC (The National Academy of Early Childhood Programs). NAEYC’s standards seek to ensure that teachers are prepared to help all children develop, learn, and achieve their full potential. Two of the quality indicators of the model standards for excellent kindergarten programs are small class sizes and excellent teacher to student ratios. We have both. Our class ratio is 1 teacher per 8-10 students. Our staff is made up of certified teachers, chosen for both their professionalism and caring, compassionate personalities. 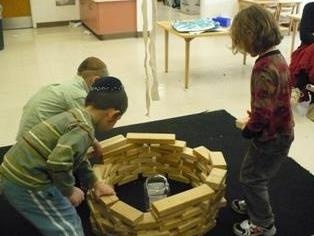 Our kindergarten blends Judaic and secular subjects in a program that is rich, fulfilling, and stimulating. It is dedicated to meeting each child’s physical, emotional, intellectual, social, and spiritual needs. Our fundamental belief is that by teaching Jewish heritage, we provide the foundation for our children’s future as responsible and caring adults. The school operates in accordance with the spirit, principles, and practices of Halacha (Jewish Law) and Chabad Lubavitch and is guided by the vision of Rabbi Menachem Mendel Schneerson, OB. Image of the child as capable, curious, eager to learn, and wanting to socialize. Environment which provokes exploration and experimentation, problem-solving and negotiation, communication, and collaboration, while promoting a balance between comfort and stimulation. Materials and languages that support children’s communication and/or understanding of ideas, feelings, and experiences; to explore aspects of qualitative thinking; as well as exploring a sense of identity and community. Documentation that shows children’s ownership of their work, shows their learning process, the use of written communication, and helps to make meaning of an experience. Emergent Curriculum involving the use of listening, observing, and documenting in order to organize learning experiences for children based on both children’s and teachers’ learning interests and investments. Professional Development that is on- going, intentional, and reflective while such qualities as dialogue, hearing other’s perspective, having outside influences and trying new experiences are encouraged. 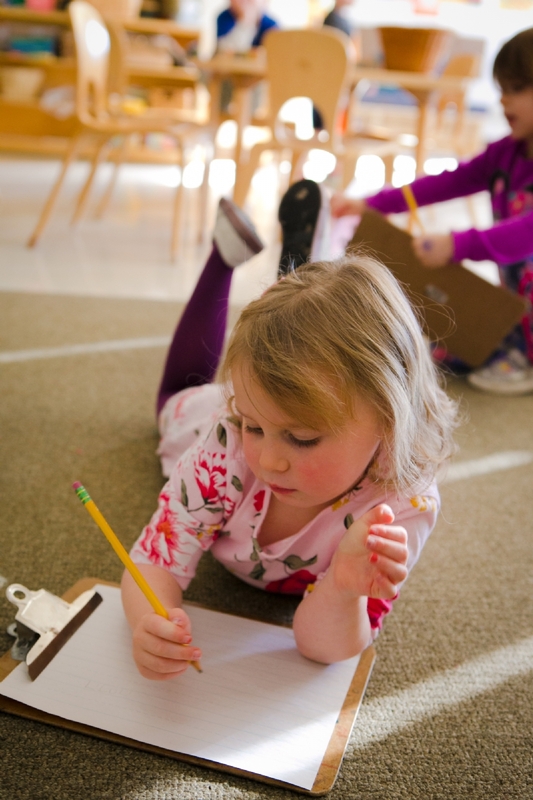 The arts are a defining characteristic of Reggio-inspired programs. Children do not express themselves in one language, but rather in “one hundred languages.” We take an art- infused approach to learning. We believe that children use art as their language to communicate thoughts, ideas, images, and feelings through various media. Their work demonstrates knowledge of the arts as a creative discipline. 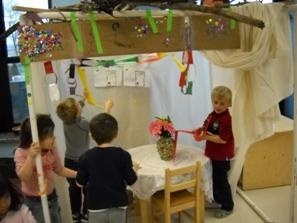 Movement, music, dramatic play, and creative art experiences are integrated into all of the themes we explore. Our Talking Canvas program, conducted by parent volunteers is a new program, in which parents study 4-5 Masters each year with the children. Our K4 programs are print-rich, emergent reading and writing environments, where children learn both Hebrew and English. Literacy experiences are integrated into activities throughout the day as children journal, record, create lists, author books, and research topics of high interest to them. Again, we couple this with our strong arts program and rely heavily on documentation, with the children involved in the process of recording their learning. Children are engaged in the cyclical process of reviewing what they are learning, describing it, editing, shaping, and recording the experiences they are having. 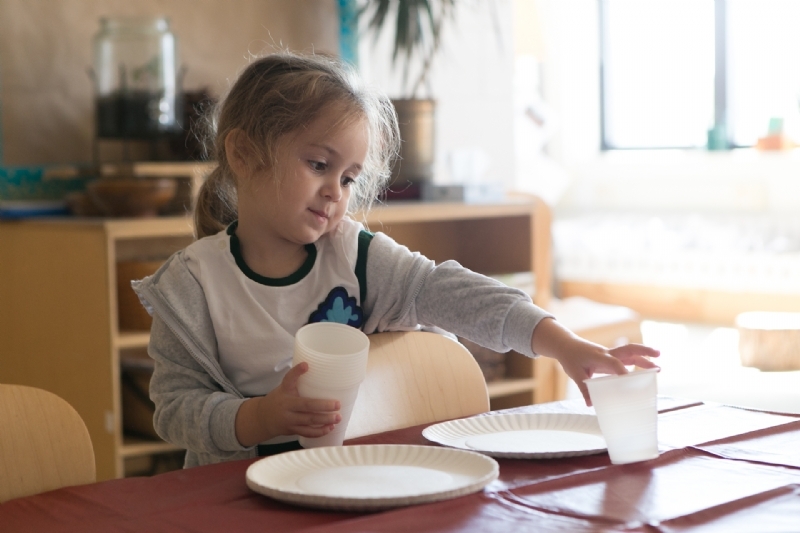 Children learn math skills through hands-on activities as they engage in play, planned and spontaneous investigations, math interest centers, and thematic games, songs, and stories. 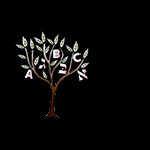 Our goal is to help children develop a foundational math vocabulary and to see themselves as capable problem-solvers. 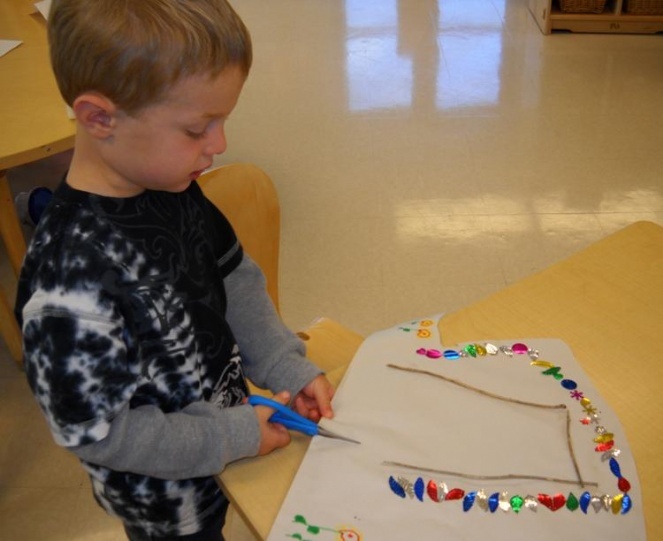 Through patterning, children develop a basis for other math skills. Children engage in sorting and classifying, develop one-to-one correspondence and counting skills, as well as concepts of number and time. Children learn how to sequence; how to order events and objects. They practice identifying shapes and learn about whole/part relationships. Rudimentary measuring activities as well as predicting, estimating, and charting activities help them to acquire math basics. Creative arts and block play allow children to increase their abilities to design and plan, learn about weight, size, balance, geometry, color, and texture while also exercising their imaginations. Children hone their fine-motor skills and math skills when they work with a wide array of sensory materials and manipulative. The seasonal and Judaic calendars provide ample opportunities for exploration of the sciences. We take full advantage of our outdoor environment and the provocations that present themselves each day as we experience the awe and wonder of the world around us. 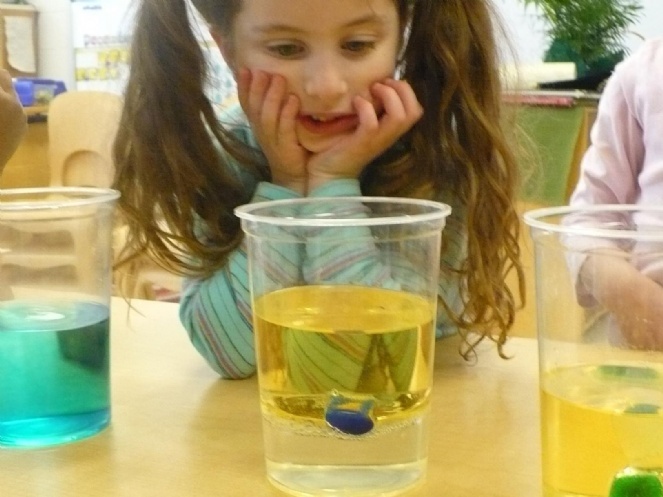 The children explore everything from light and shadow to life cycles and simple chemistry, as teachers provide prompts for their investigations. As the mysteries of shadow and light are explored in dance and art they become the fuel for scientific discoveries. New items are added regularly to the science and sensory exploration areas for children to discover when they arrive each morning. Outdoors, we have a bountiful vegetable and herb garden where our gardener works alongside the children, guiding them through the process of planting, growing, harvesting, and enjoying the produce. From November through April we have scheduled gym classes. Throughout the year we have daily scheduled opportunities for large motor play. 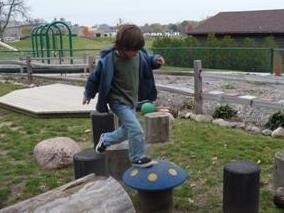 We go outside to our state-of-the-art playground, weather permitting, year round. We also have indoor spaces used for large motor play activities during inclement weather. Teachers play organized sports and circle games, engage in creative movement activities and assist in learning fundamental skills such as ball-kicking, throwing, catching, beginning jump-rope skills, hop-scotch and similar skills. These activities promote coordination and motor development, and create an interest in sports and other physical activities that will promote life-long physical well-being. The development of pro-social skills is one of the key developmental areas in the K4 experience. Although intellectual growth is important, we know that emotional intelligence is just as essential for a successful future. Children work in various small groups on a wide range of projects and activities to encourage cooperation, leadership, empathy, and other important skills needed to negotiate social situations.